Jeff Knowles – Jeff is a parent of two children and has been a Sausalito resident since 1995. He joined the Willow Creek Board in 2010. 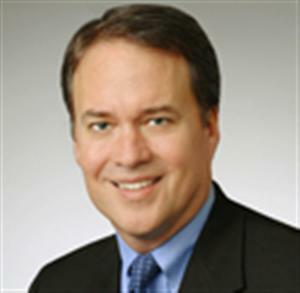 He is a Managing Partner and intellectual property litigator at Coblentz, Patch, Duffy & Bass, a San Francisco law firm. Prior to joining the Coblentz firm, Jeff was a trial lawyer with the U.S. Department of Justice in Washington, D.C. Jeff received his bachelor's degree from UCLA and his J.D. from UC Hastings College of the Law. Jim Henry, Treasurer - Jim Henry has lived in Sausalito since 2011 and joined the Willow Creek board as Treasurer in 2014. He and his spouse have two adult children and two young grandchildren. Jim is a CPA and partner in PricewaterhouseCoopers LLP (PwC), and currently serves as Managing Partner for the firm in San Francisco. During his 36 year career, he has held numerous leadership and client roles with PwC and has held non-profit board positions with INROADS, Larkin Street Youth Services, UCSF’s Global Health Group, and many other organizations. He received his B.S. in Business Administration from San Diego State University, and has completed executive education programs at the Center for Creative Leadership, Stanford’s Rock School of Law on Board Governance and UCLA’s Anderson School of Business. Marcella Alexis-Addae - Marcella Alexis-Addae has been a resident of Marin City since 2004. She has two children with husband Richard Addae. Marcella was born on the spice isle of Grenada and was educated in London. She attended Brent and Harrow School of Nursing Graduate and received psychiatric training at Shenly Hospital, Hertfordshire. A trained midwife, Marcella practiced independently across London, conducting hospital and home births and running clinics educating women about how to care for themselves their unborn child and newborns. She worked extensively in the 1980s in the east end of London advocating for under-privileged women and their children. Currently, Marcella is a Registered Nurse working in adult critical care on the cardiovascular intensive care unit at Kaiser Permanente. Marcella says, "I acquired a great passion for children and their early education and recognized how vital a quality elementary education is. I will continue to advocate for a quality education for every child. It's a joy to me to see every child become successful." Lexi Mussallem, Secretary - Lexi is the parent of a Willow Creek Academy student. She is a partner in the law firm of Maple & Mussallem LLP, with offices in San Francisco and San Rafael, and specializes in matrimonial law. She is a member of the San Francisco Bar Association, the Marin County Bar Association, the Association of Certified Family Law Specialists, and a Fellow of the American Academy of Matrimonial Lawyers. Lexi also serves on the Board of Directors of Legal Aid of Marin. Lexi received her bachelor’s degree from UCLA and her J.D. from Hastings College of the Law. Sally Peck - Sally and her husband, Douglas, are parents of two grown children and a granddaughter. She has been a resident of Sausalito since 2007. A passionate educator for over thirty years in independent and public schools, Sally worked in Santa Barbara and Menlo Park before settling in Kentfield, as a school administrator in 2004. She is treasurer for the Marin County Association of School Administrators (MACSA), she coaches new administrators through Sonoma Office of Education, and serves on educational committees in the county. Sally earned her California Administrative Credential and master’s degree from San Jose State University, her multiple subject teaching credential from the University of California Santa Barbara and her undergraduate degree from the University of California Davis. Marijke Smit, Vice-president - Marijke comes to the Willow Creek board with deep experience in educational facility and master planning. A WCA parent of two, Marijke has worked with leading K-12, university, and cultural institutions to help shape their physical and cultural transformations. Trained in history and urban planning at Columbia University, Marijke’s career has been influenced by a complex array of assignments across the U.S. and Asia. She has focused her career around optimizing the nexus between people and their environments, helping her clients leverage their main assets – be they physical, curricular, social and/or cultural. She is currently VP of Education at Project Frog, an innovator in sustainable pre-fab construction for schools. Marijke’s work is framed by a deep commitment to creating healthy, vibrant and sustainable places. Her success as a national leader in her field landed her on Building Design + Construction’s 2008 “40 under 40” list, which reminds Marijke that she was once under forty. Dr. Johanna VanderMolen served as Superintendent of Campbell Union School District, Santa Clara County, California for ten years prior to retiring in Sausalito in 2010. While superintendent she received the YWCA's Tribute to Women award, a competitive distinction honoring outstanding women executives in the Silicon Valley. Prior to that she worked as elementary school principal in Napa, middle school principal in Ventura, and Assistant Superintendent in Acalanes School District. She currently consults with school districts and foundations in the areas of executive coaching and governance. In 2014/15 she served as Pro-Tem of the Marin County Grand Jury. Johanna earned her doctorate degree from the University of San Francisco, a master’s degree from Pepperdine University, and her undergraduate degree from the University of California, Santa Barbara. She joined the Willow Creek Board in 2016. Kurt Weinsheimer, President - Kurt Weinsheimer joined the Willow Creek Board in 2006. He is a Sausalito resident and parent of three daughters with his wife, Eve. Kurt currently runs business development at Netpulse, a fitness technology company, and has a background in launching e-commerce and media start-ups. Coming from a family of educators, Kurt has always been passionate about primary education. Mr. Weinsheimer holds an MBA from Northwestern University’s Kellogg School of Management and a B.A. from Boston College.